It’s a place in which close to a million bodies rest underneath the earth. The bodies of those forgotten by society and the bodies of those who society never knew. It’s the United States’ largest mass burial site yet the only way to set foot on top of that soil is by either official permission by New York’s Department of Correction, an inmate at Rikers prison, or as a cadaver. 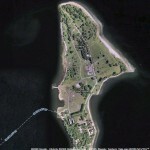 Hart Island, New York. Around a mile long and about a quarter mile in width, the island is a small patch of land floating on the Long Island Sound next to the Bronx. For over a century it has been the site of a mass grave and home to the hundreds of thousands of paupers and unclaimed residents of New York state. Closed off to the public since 1976, the island has had a long, dark history that not many are aware of or have even heard of. The land was initially used by the U.S. government as a Union Civil War prison camp in the 1860s. Thousands of Confederate soldiers were placed in the island for a few months during the war. 235 were recorded to have died while at the island. Since the Civil War, the U.S. government has used the island as a mass grave. First, burying the casualties of war. Second, the poor. 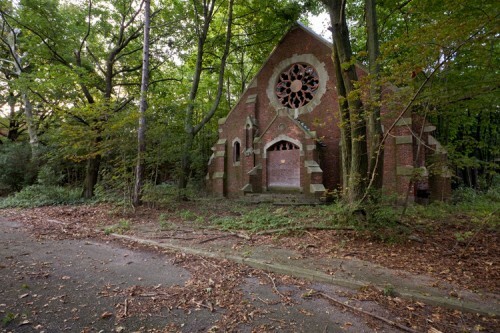 When it was purchased in 1869 by the city of New York, Hart Island served as the cemetery for the poor, the abandoned, and the stillborn. The dead were buried in pine wood coffins, piled a few feet high across long trenches on the public graveyard or Potter’s Field. The first child to die of AIDS in New York’s City was buried on Hart Island. In fact, iInfants by the thousands were buried in trenches marked only by one single grave marker. And the bodies kept coming. In 1870 part of the island was used to quarantined those who contracted the Yellow Fever. However as the number of infected dwindled over time, the city then used the medical building on Hart Island as a woman’s asylum. In 1885 The Pavilion building was used to house New York’s mentally ill. Infamously known as the Lunatic Asylum on Hart Island, the erected buildings served as hospital and home for hundreds of women who were sent off by those who could not take care of them. Decades past and the Pavilion was kept in use. A rehab center, a workhouse. Eventually it would become a reformatory for delinquent boys. Drugs, gangs, or just straight up trouble. If you were a thug kid back in the day in New York City, you had a great chance at being shipped off to the island of the dead for institutionalized correction. Throughout the years the island slowly began pushing back visitors, dwindling down the population. Only the population of the dead continue to grow. And the bodies keep coming. Since New York’s Department of Correction owns the island, it has been under their strict control for the past few decades. Treated as an extension to their Correctional law, the once public cemetery is now off limits to the wondering public. Limiting access to the island to only those with the proper credentials or prisoners from Rikers Island. 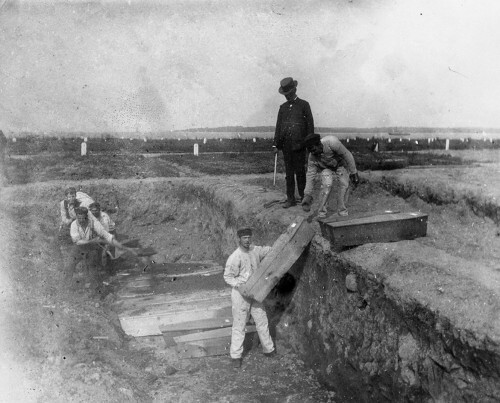 To this day, some of Rikers short-termed inmates are shipped out to Hart Island daily to bury the dead. The island’s only gravediggers. Because of the nature of the work and governing entity, the island is restricted to the public. As inmates are shipped to the barren fields for work, the loved ones of those buried there can only observe the gravesite from the distance. Technology and the Freedom of Information Act have brought new avenues for the public and government to better interact. In Hart’s case, no one has taken advantage of this more than New York-based artist, Melinda Hunt, who has been working for the past 20 years on her campaign for Hart Island. Twenty years ago the photographer was on assignment when she happened to come across the island. Over the next years she documented the graves and gravediggers. 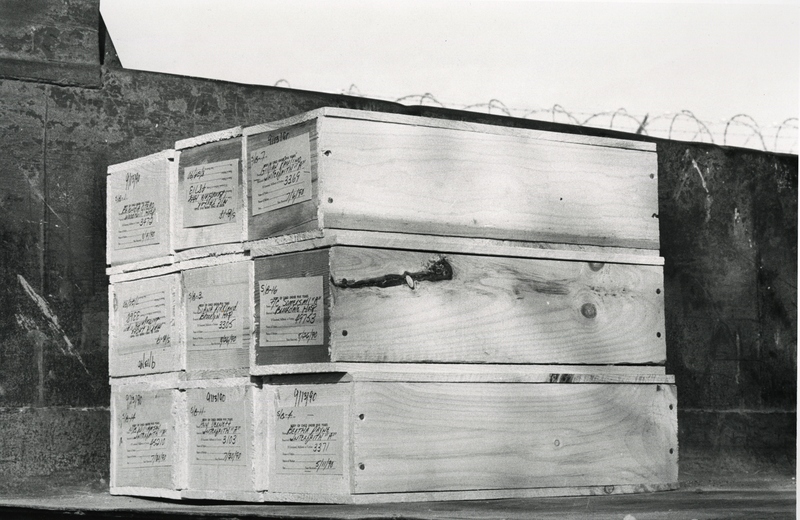 “She spent nearly three years documenting prisoners digging the graves and stacking the plain pine boxes into the unmarked plots, three wide by three deep. Each adult plot contains 150 pine boxes; each baby plot contains 1,000. 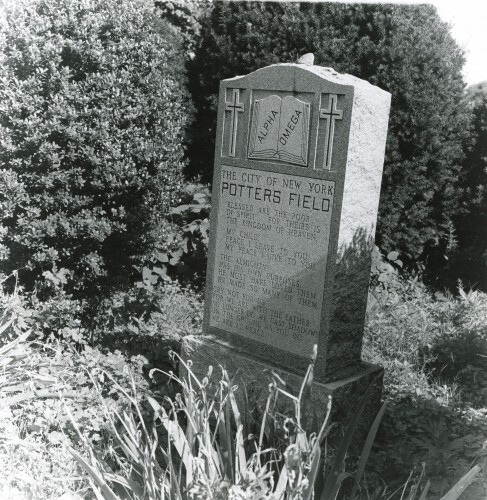 A simple gravestone marking each of the plots bears no inscription. 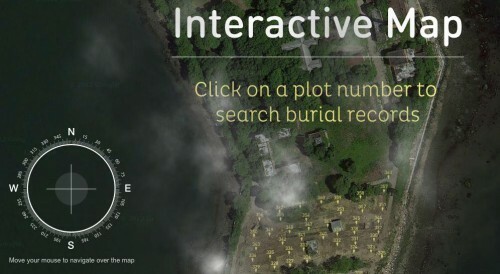 Hunt’s Traveling Cloud Museum (The Hart Island Project) is a searchable online database for those buried after 1977. Due to vandalism and fire damage, most of the records of Hart’s residents have been lost. Hunt’s work is providing us with a rare glimpse into Gotham’s shadowy history.